Episode 1: Calgary-Lougheed by-election, Alberta Party leadership and more. 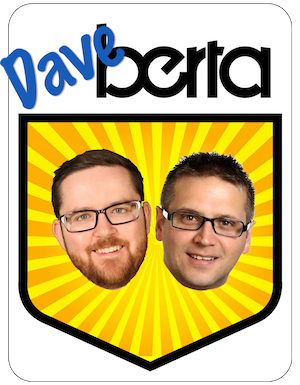 The Calgary-Lougheed by-election, the Alberta Party leadership race, a new ThinkHQ poll, Rachel Notley as Canada’s Pipeline Paladin, and changing electoral boundaries are just some of the topics covered in the latest episode of The Daveberta Podcast with Dave Cournoyer and Ryan Hastman (recorded on Sunday, Nov. 26, 2017). We’d love to hear what you think of the podcast, so feel free to leave a review where you download it, leave a comment on this blog, Facebook or Twitter or send us an email at podcast@daveberta.ca. We’d also like to send a special thanks to our producer, Adam Rozenhart, for his help in making this podcast a reality (and making us sound so good!). This entry was posted in Alberta Politics, Daveberta Podcast and tagged Adam Rozenhart, Alberta Electoral Boundaries Commission, Alberta Liberal Party, Alberta NDP, Alberta Party, Alberta Party Leadership Race 2018, Alberta Podcast, Alberta Politics Podcast, Calgary-Lougheed, Calgary-Lougheed by-election, Dave Cournoyer, Daveberta Podcast, David Khan, Derek Fildebrandt, Greg Clark, Jason Kenney, Leela Aheer, Phillip van der Merwe, Rachel Notley, Romy Tittel, Ryan Hastman, Stephen Carter, Susan Elliott, United Conservative Party on November 27, 2017 by Dave Cournoyer. Floor Crossing! What to make of Tory MLA Sandra Jansen joining the NDP? Progressive Conservative Calgary-North West MLA Sandra Jansen took to the podium with Premier Rachel Notley this afternoon to announce that she is crossing the floor to join the governing New Democratic Party Caucus. It would have been hard to imagine only one year ago that we would witness a PC MLA join the NDP but nothing should surprise us in Alberta politics anymore. 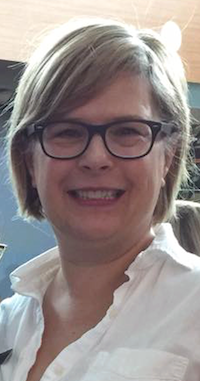 Ms. Jansen has spent the past 18 months as an unwelcome moderate in a largely conservative caucus of 9 PC MLAs and it is hard to see what other options she may have had. There could not be a more direct shot at her conservative opponents in the PC and Wildrose parties but mostly PC leadership front-runner Jason Kenney. In the opposition benches, Ms. Jansen has been a voice for moderate conservatism in the Legislative Assembly, clashing with her conservative MLA colleagues, including interim party leader Ric McIver, on numerous occasions. She also faced a backlash from conservative activists when she decided to publicly endorse Liberal candidates Kent Hehr and Nirmala Naidoo during last year’s federal election. 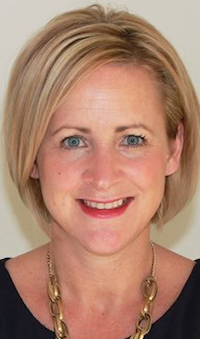 Last month Ms. Jansen announced plans to run for the PC Party leadership, building a campaign team that included Ms. Naidoo and strategist Stephen Carter. But she dropped out of the race last week, claiming that Mr. Kenney’s social conservative supporters had bullied her at the party’s annual convention over her progressive views on abortion and gay rights. She has also been the target of fierce sexist harassment on social media. With Mr. Kenney’s hostile takeover of the PC Party in full-swing, it has become increasingly clear that there is less room for the moderates and liberals who played a key role in the party’s broad governing coalition from 1971 until 2015. Ms. Jansen was the voice of the “progressive wing” in the PC Caucus and she will certainly sit in the “conservative wing” of the NDP, which is a fascinating development in the evolution of the Alberta NDP’s centre-ish political coalition two years ahead of the next election. While I expect Ms. Jansen had an opportunity to consider joining MLA Greg Clark in the Alberta Party or run for the leadership of the Liberal Party, returning to a position where she can influence government policy would have certainly been more appealing than joining or leading a smaller opposition caucus. 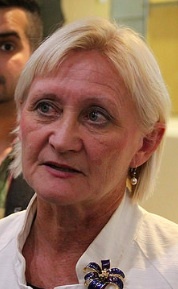 Although she is a moderate, Ms. Jansen has clashed with the NDP on a few occasions. In November 2015, Ms. Jansen accused then-Status of Women Minister Shannon Phillips of having “lost the authority to govern” after a heated debate over budget estimates and the old PC government’s record. 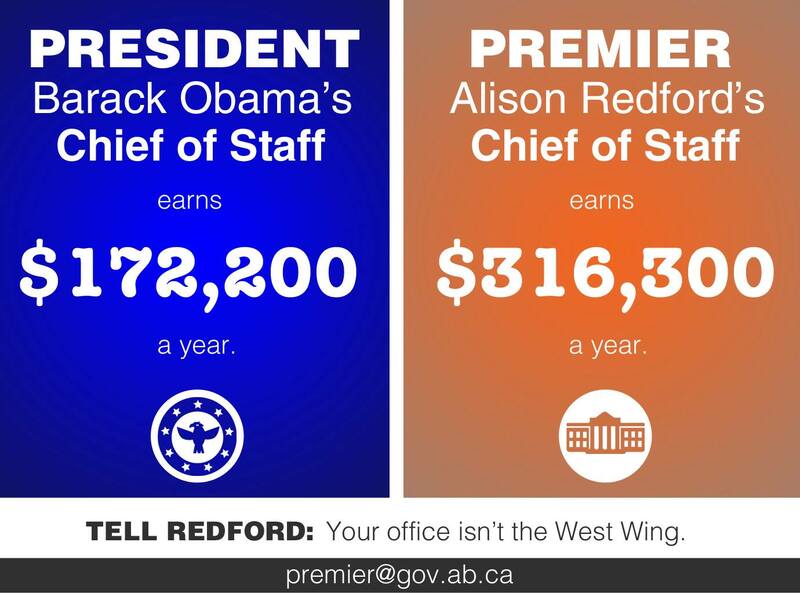 Her strong connections to former premier Alison Redford’s government are also notable. A broadcaster by trade, she traded in her journalist’s hat for a job working in Ms. Redford’s southern Alberta office at the McDougall Centre in 2011. Shortly after that she was elected as a PC MLA and served as associate minister of families and community safety from 2013 until after Ms. Redford’s departure in 2014. With this floor crossing, the NDP Government Caucus is one MLA short of having an an equal number of women and men, what I expect is a first in Canadian history. 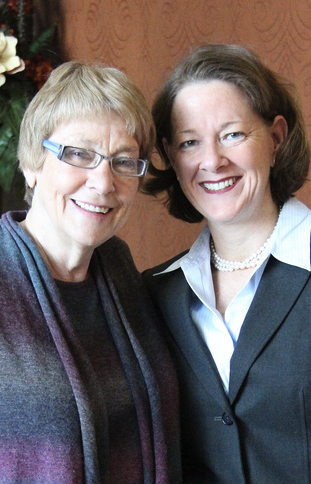 As far as I can tell, she is the first MLA, from any party, to cross the floor to join the NDP in Alberta’s history. Ms. Jansen will sit as a backbench government MLA but we should expect she will soon make her way into cabinet in the new year. This entry was posted in Alberta Politics and tagged 2017 Alberta Progressive Conservative Leadership Race, Alison Redford, Floor Crossing, Greg Clark, Jason Kenney, Kent Hehr, Nirmala Naidoo, Peter Lougheed, Rachel Notley, Ric McIver, Sandra Jansen, Shannon Phillips, Stephen Carter on November 17, 2016 by Dave Cournoyer. Calgary lawyer Doug Schweitzer announced in an email to his supporters today that he will not seek the leadership of Alberta’s Progressive Conservative Party. 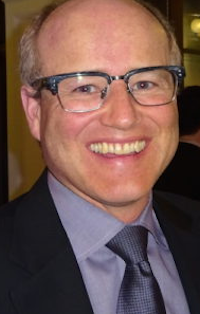 Mr. Schweitzer is the former CEO of the Manitoba PC Party and was involved in Jim Prentice‘s campaign for the Alberta PC Party leadership in 2014. 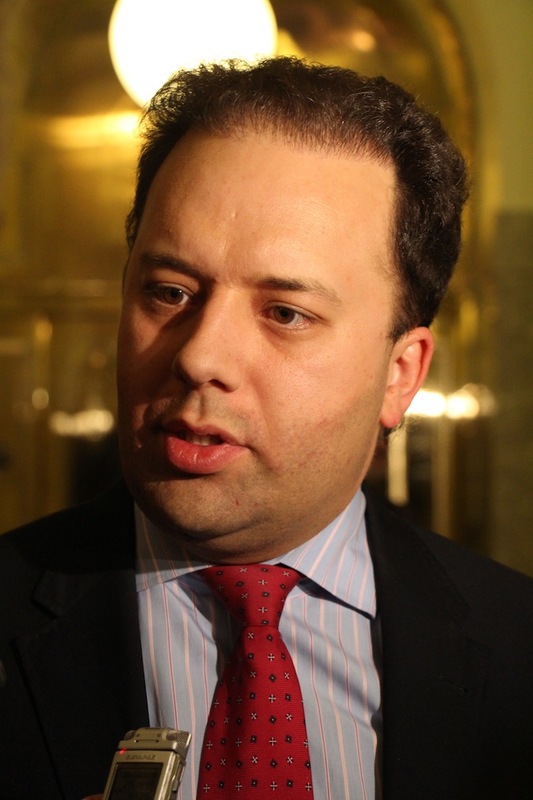 He was widely seen as a potential flag bearer for centrist conservatives in the party and rumours of his candidacy had generated excitement among some party activists. This is a note that will disappoint some of my friends and supporters. I have made the decision not to pursue the Leadership of PC Alberta at this time. My desire to be part of a significant political change in Alberta started a year ago in a coffee shop in Calgary – I just didn’t know it at the time. At first, I was just meeting with friends to talk about how we could improve our province. Then I travelled across Alberta and met with people and listened to their concerns. People were frustrated and worried. Some had lost their jobs, others their homes and some had even lost hope. What was also very clear from these conversations was a deep sense of pride in the resilience of Albertans. Even in frustration, there was still a strong belief that Alberta could get back on its feet. I gathered a group to talk about the future of Alberta. It led to some exciting meetings where we brought together hundreds of people to talk constructively about what our future could be. It was in these conversations that I was encouraged by many to seek the leadership of PC Alberta. I was humbled and flattered. In exploring whether to run, the question that comes up across Alberta is, “How do we defeat the NDP?” The easy answer is to fuel anger and fear by spreading half-truths and representing them as facts for partisan benefit. Our generation is tired of excessive partisanship. We want leaders that unite and empower us. We need to create the most competitive business environment in North America without sacrificing the environment. We want equality of opportunity, fairness and inclusion. We need an Alberta for tomorrow, today. The big question is can we do this through PC Alberta? I believe the Party needs to re-establish trust with voters, bring forward new ideas, a new plan and a new team. I was hopeful this could happen now. In exploring this campaign, we have hosted hundreds of meetings across Alberta, attracted a talented team, and developed campaign infrastructure that is unrivalled. We are ready to launch what we believe is a winning campaign. However, I am concerned about the Party’s commitment to a fair leadership process. In particular, the rules that have been established have raised some serious concerns that go to the legitimacy of the process. This process has made me realize that if we stay focused on the past and established parties, we will lose the real opportunity that lies before us. That is the chance to define what it means to be a conservative for the next generation. We need a “New Blue”. My team and I believe this opportunity cannot be realized while defending the status quo – we have to reach higher. What I am interested in is participating in a larger debate that includes all Albertans who are seeking a strong alternative to the NDP. This is the inclusive debate Albertans deserve and one I will work to make happen. 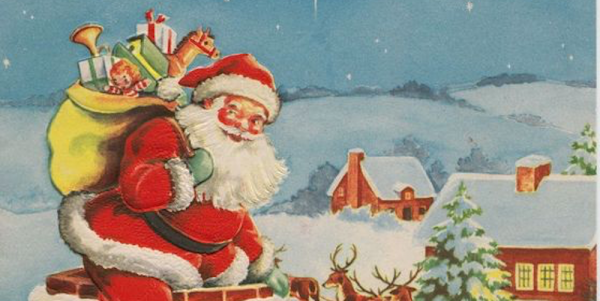 To the volunteers that have been working with us, I’ll do my best to reach out to each of you over the coming weeks. It took me months to meet all of you, so please be patient. I truly appreciate everything you’ve done. I hope many of you choose to join us as we discuss next steps. The PC Party will select a new leader in March 2017. 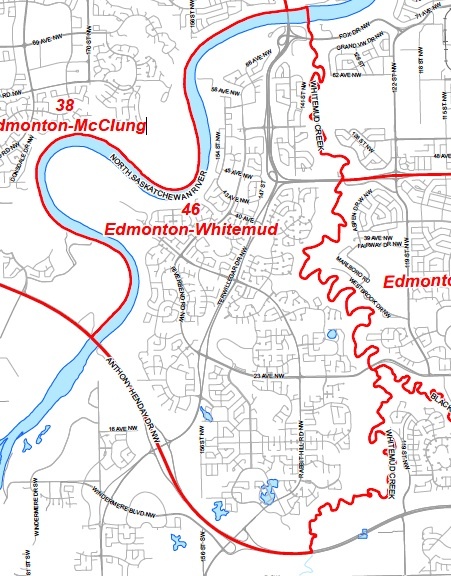 Federal politician Jason Kenney and former MLA Donna Kennedy-Glans have officially announced their plans to run. Political strategist Stephen Carter announced this week that he will be supporting Calgary-North West MLA Sandra Jansen‘s bid for the leadership, which has yet to be officially announced. 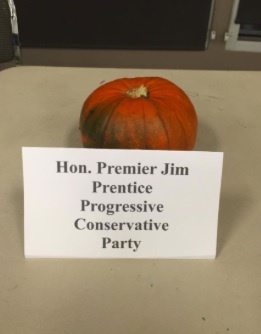 This entry was posted in Alberta Politics and tagged 2017 Alberta Progressive Conservative Leadership Race, Donna Kennedy-Glans, Doug Schweitzer, Jason Kenney, Jim Prentice, Sandra Jansen, Stephen Carter on September 19, 2016 by Dave Cournoyer. 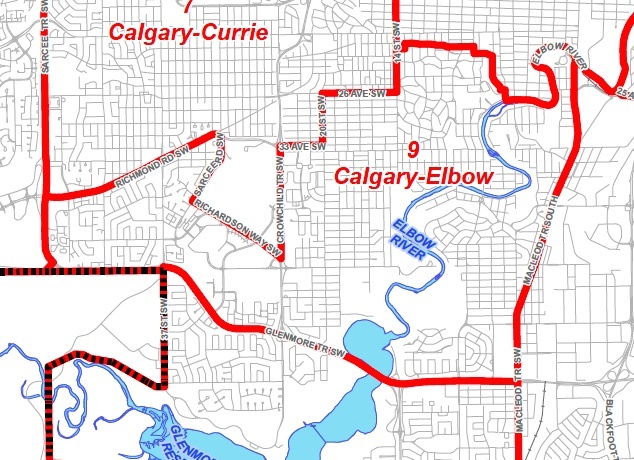 Calgary-Centre By-Election: Accusations and high-profile visits. The by-election in Calgary-Centre is in full-swing with accusations and high-profile visits becoming a distinguishing characteristic of the campaign in advance of the November 26 vote. 1CalgaryCentre, the group bidding to unite progressive voters behind a single candidate, is becoming the source of much online frustration by both conservative and non-conservatives involved in this by-election. On Twitter last weekend, Conservatives Pat Walsh and Cody Battershill, who are supporting Conservative candidate Joan Crockatt, accused the 1CalgaryCentre group of being backed by well-known Conservatives Stephen Carter and Rob Hawkes in an attempt to undermine Ms. Crockatt’s campaign. Mr. Carter is best known for the roles he played in Mayor Naheed Nenshi and Premier Alison Redford‘s successful election campaigns. 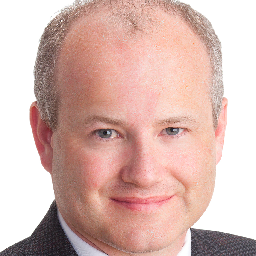 Mr. Hawkes is a prominent Calgary lawyer, son of former Progressive Conservative Member of Parliament Jim Hawkes, and ex-husband of Premier Redford. According to 1CalgaryCentre, the two men have not been involved with the group. 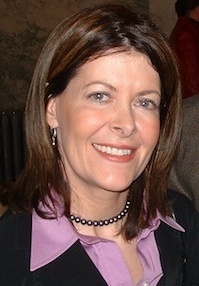 A partisan rift between many provincial and federal Conservatives was perpetuated when many federal Tory supporters, including Ms. Crockatt, were seen by provincial Tories as tacitly supporting the right-wing Wildrose Party in their bid to unseat the long-governing PC Party. A prolific tweeter and political commentator until her recent candidacy, Ms. Crockatt has avoided the online fray created by her supporters. Meanwhile, supporters of Liberal Party candidate Harvey Locke are claiming that the 1CalgaryCentre group will inevitably endorse author and urban sustainability advocate Chris Turner, the Green Party candidate. While a recent poll suggests Mr. Locke is the leading opposition candidate, Mr. Turner’s campaign is generating more online buzz and excitement than any of the the candidates. A recent IVR poll conducted by Forum Research showed Ms. Crockatt with a wide lead of 48% support in the riding. 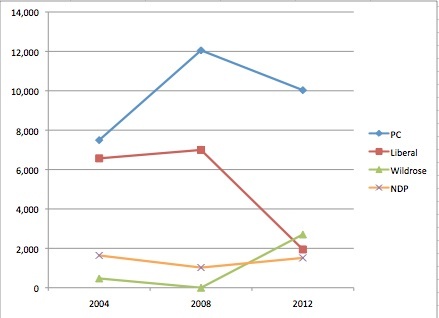 Mr. Locke had 28%, Mr. Turner had 11%, and New Democrat Dan Meades had 8% support. Results of the Forum Research poll are based on the total sample of 343 voters had a margin of error of +/- 5% 19 times our of 10. As we all know, polls are a snapshot of voters opinion at a certain moment in time. There is still twenty days left until the by-election day. 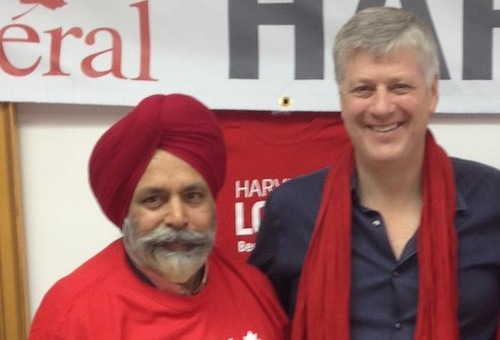 MLA Darshan Kang and Harvey Locke (photo from Mr. Locke’s Facebook Page). Mr. Locke was joined on the campaign trail by Calgary-McCall Liberal MLA Darshan Kang last week and has been campaigning on the slogan “entrepreneurial progressive voice for Calgary-Centre.” Liberal leadership candidate Justin Trudeau brought some star power to Mr. Locke’s campaign when he visited the riding last month and sources suggest that he may stop by again when he is in Alberta later this month (he will be holding a rally in Edmonton on November 20). Chris Turner (standing on a soapbox) and Elizabeth May (photo from Mr. Turner’s Facebook Page). 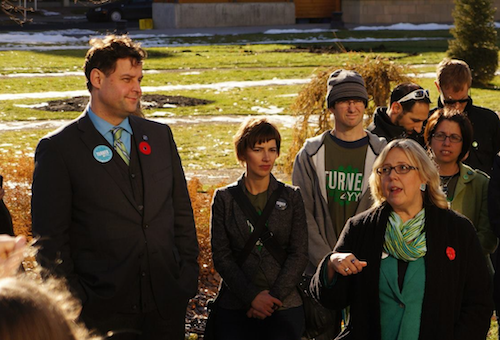 Green Party leader and British Columbia MP Elizabeth May paid her second visit to support Mr. Turner’s campaign and attended a “soapbox” event in Central Memorial Park. On November 17, Ms, May and famous environmentalist David Suzuki will be attending a “Turning Point” rally supporting Mr. Turner’s candidacy at Scarboro United Church. MP Diane Ablonczy, candidate Joan Crockatt, and Justice Minister Jonathan Denis (photo from Ms. Crockatt’s Facebook Page). Calgary Conservative MP Diane Ablonczy and provincial Justice Minister Jonathan Denis hit the campaign trail with Ms. Crockatt last week. While a few Conservative politicians have stopped by the campaign in Calgary-Centre, political watchers are beginning to quietly speculate about Prime Minister Stephen Harper‘s absence from the campaign in the downtown Calgary riding. 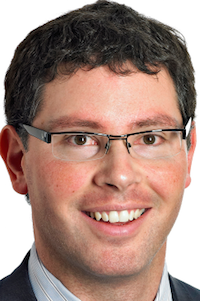 Davenport NDP MP Andrew Cash was in Calgary last weekend to help out Mr. Meades’ campaign. The official opposition Heritage critic, Mr. Cash attended a town hall forum on internet privacy and pub night jam session at the Marda Loop Community Association Hall. Also running in the by-election are Progressive Canadian candidate Ben Christensen and Independent candidate Antoni Grochowski. 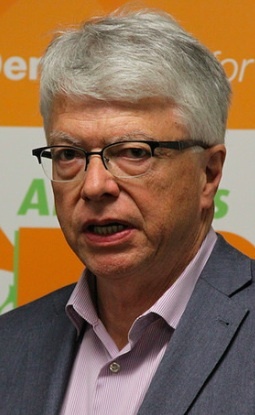 A perennial election candidate, Mr. Grochowski ran unsuccessfully for Alderman in the 2010 municipal elections, as an Independent candidate in in Calgary-Southeast during the 2011 federal election, and an EverGreen Party candidate in Calgary-Acadia during the 2012 provincial election. This entry was posted in Alberta Politics and tagged Alison Redford, Andrew Cash, Antoni Grochowski, Ben Christiensen, Chris Turner, Dan Meades, Darshan Kang, David Suzuki, Diane Ablonczy, Elizabeth May, Harvey Locke, Jim Hawkes, Joan Crockatt, Jonathan Denis, Justin Trudeau, Naheed Nenshi, Pat Walsh, Rob Hawkes, Stephen Carter, Stephen Harper on November 6, 2012 by Dave Cournoyer. Can a ‘progressive’ win in Calgary-Centre? It is not impossible, but it might not be very likely. 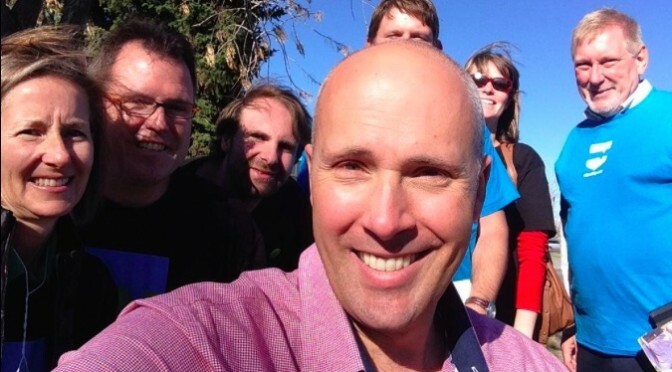 Can the online campaign 1 Calgary Centre succeed in its goal to unite (or crowd-surf) progressive voters behind one candidate in the impending Calgary-Centre by-election? It is not impossible, but it is improbable. 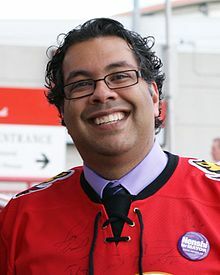 The existence of a Naheed Nenshi, Linda Duncan, or Chima Nkemdirim style of candidate who progressive voters could unite behind could make Conservative organizers lose some sleep, but that candidate has yet to emerge and the December 4 deadline for the by-election to be called is quickly approaching. Much like the failure of the Democratic Renewal Project to unite parties on the provincial level, the reality of deep-rooted partisan associations driven by personalities who are committed to both brand and ideological are large challenges facing any group wanting to unite non-Conservative voters in this country. 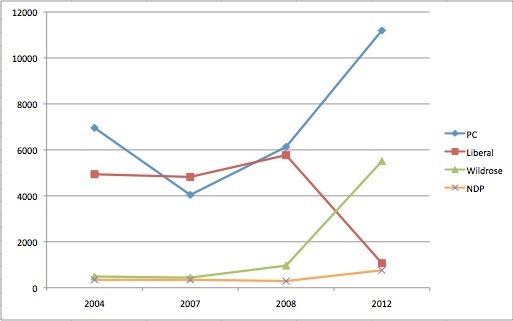 Some supporters of the online 1 Calgary Centre movement have looked past the large plurality of votes earned by Conservative candidates in recent elections and point to the unlikely election of Joe Clark in the 2000 federal election. Keep in mind that Mr. Clark was no ordinary candidate. 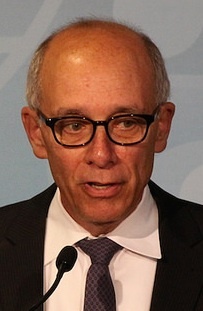 Mr. Clark was a former Prime Minister, senior cabinet minister, leader of the national Progressive Conservative Party, and he benefited from national profile, a televised leaders’ debate, and broad and diverse team of organizers in Calgary-Centre. Even with all this, he still only barely unseated Canadian Alliance Member of Parliament Eric Lowther. 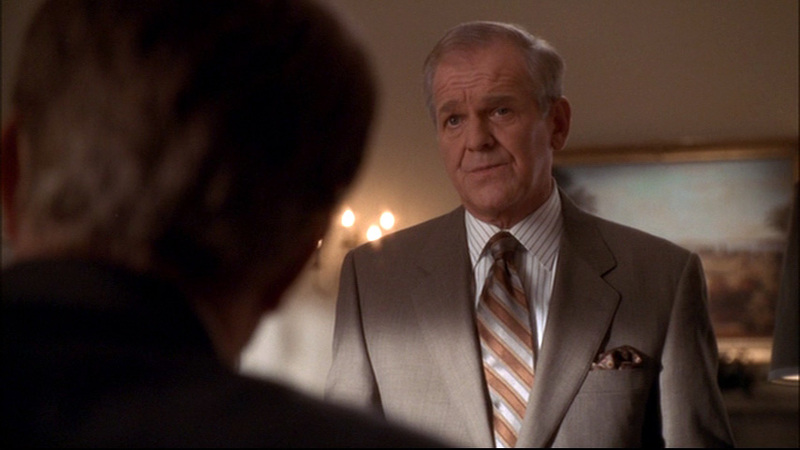 Mr. Clark was also a Conservative. So perhaps Mr. Clark is not the best example. Of course, the by-election campaign has yet to officially begin and the final decision remains in the hands of voters in Calgary-Centre. Now let us take a look at the candidates. 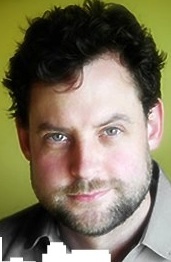 Blogger David Climenhaga published a witty retort of Catherine Ford‘s criticisms that Conservative candidate Joan Crockatt was largely to blame for the ugly labour dispute at the Calgary Herald in 1999. As the Conservative candidate in a riding that has only elected Conservative MPs since 1965, Ms. Crockatt is the safe bet to win (former Mayor Harry Hays was elected as a Liberal in 1963 when this riding was part of the larger Calgary-South riding). But being the safe bet does not always ensure a smooth road to victory, especially when said candidate has a somewhat controversial political past. 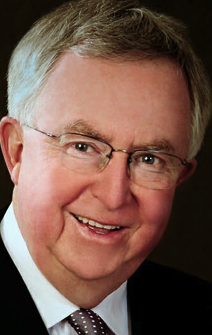 A number of provincial PC supporters have voiced frustration with Mr. Crockatt’s politics and her tacit support of Danielle Smith‘s Wildrose Party in the recent provincial election. 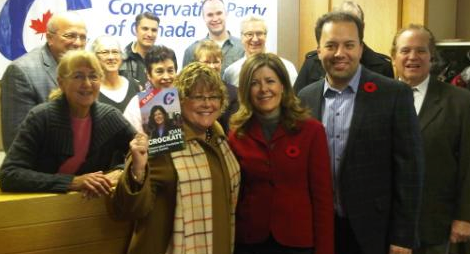 A number of prominent provincial PCs, including Tourism Minister Christine Cusanelli, campaigned for Ms. Crockatt’s challengers in the Conservative nomination contest. On September 22, the Liberal Party will be holding its nomination meeting to select a by-election candidate. The three approved candidates seeking this nomination are educator and TEDxCalgary co-founder Rahim Sajan, lawyer and conservationist Harvey Locke, and businessman Drew Atkins. A fourth candidate, who I understand has yet to be approved by party central, is Steve Turner. 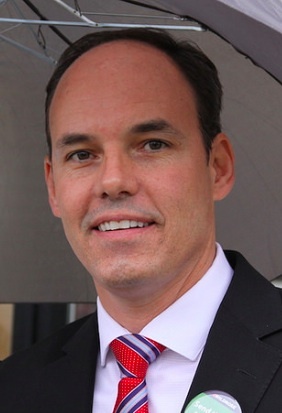 According to Liberal blogger Vincent St. Pierre, Mr. Locke’s campaign has attracted the support of high-profile Liberal Party organizer Donn Lovett. 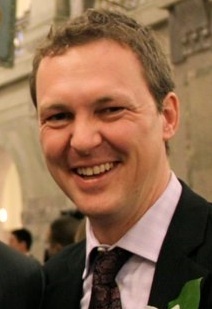 Mr. Lovett is known for his involvement successful election campaigns of Gary Dickson, Dave Taylor, Craig Cheffins, and Mr. Clark. More recently, he managed the unsuccessful mayoral campaign of Barb Higgins, in which Ms. Crockatt was the media spokesperson. Chatter on Twitter last week suggested that political spin-master Stephen Carter was involved in the campaign of Mr. Atkins, which turned out to be a false rumours. 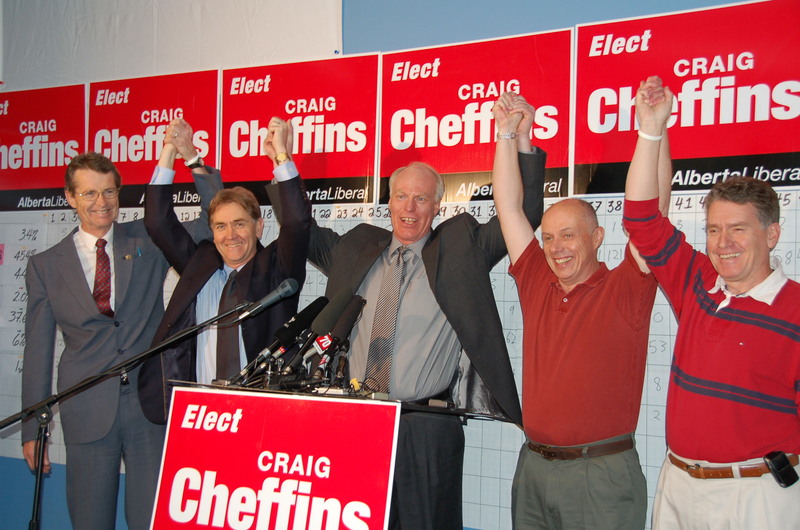 Both Mr. Lovett and Mr. Carter were involved in Mr. Clark’s successful Calgary-Centre campaign in 2000. Green Party leader Elizabeth May was in Calgary earlier this month to congratulate popular local author Chris Turner on his acclamation as the Green Party candidate. 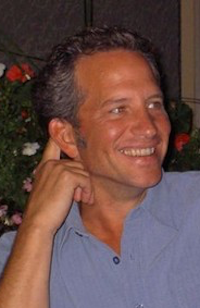 An award-winning author, Mr. Turner is the co-founder of CivicCamp and was a board member of Sustainable Calgary from 2008 to 2011. Oil City might not seem like prosperous territory for the Green Party, but I would not be surprised to see Mr. Turner do well when the ballots are counted. 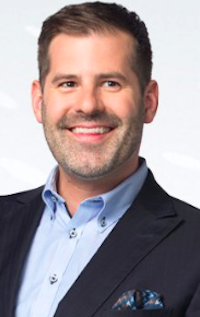 Past provincial New Democrat candidate Brian Malkinson is the first candidate to publicly announce he is seeking the yet to be scheduled federal NDP nomination. 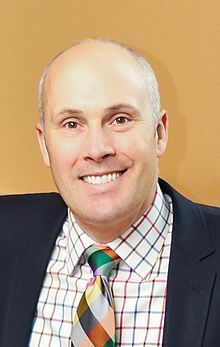 Running as the NDP candidate in Calgary-North West in the 2012 provincial election, Mr. Malkinson earned 3.17% of the vote. NDP leader Thomas Mulcair was expected to attend an NDP fundraiser in Calgary on September 21, but the event has been postponed. 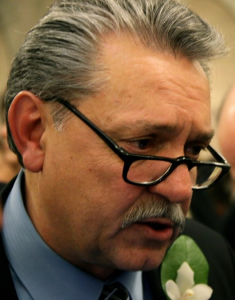 He will be in Edmonton this weekend for the annual conference of provincial New Democrats. 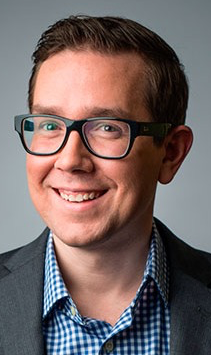 Occupy Calgary activist Ben Christiensen has been confirmed as the Progressive Canadian Party candidate. Obscure party launched after the 2003 merger between the federal PC and Canadian Alliance parties. This party is led by Brian Mulroney-era cabinet minister Sinclair Stevens. This entry was posted in Alberta Politics and tagged Barb Higgins, Ben Christiensen, Brian Maklinson, Brian Mulroney, Catherine Ford, Chima Nkemdirim, Chris Turner, Christine Cusanelli, Craig Cheffins, David Climenhaga, Donn Lovett, Drew Atkins, Gary Dickson, Harry Hays, Harvey Locke, Joan Crockatt, Joe Clark, Linda Duncan, Naheed Nenshi, Rahim Sajan, Sinclair Stevens, Stephen Carter, Steve Turner, Thomas Mulcair, Vincent St. Pierre on September 20, 2012 by Dave Cournoyer. tory attack ad tame by all standards. 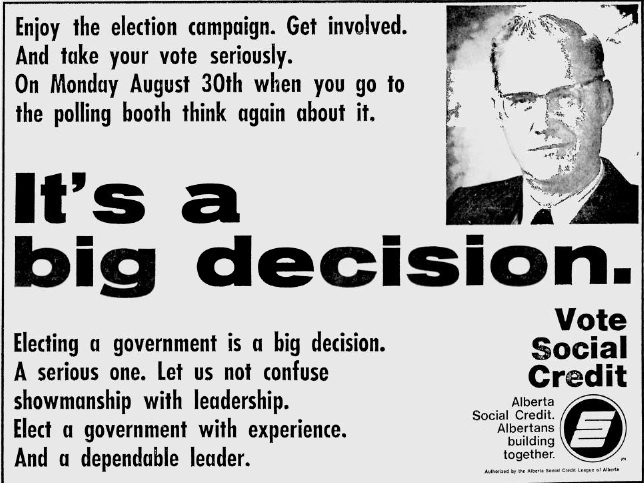 Alberta's culture of negative attack ads began with this nasty Social Credit Party newspaper ad during the 1971 election. 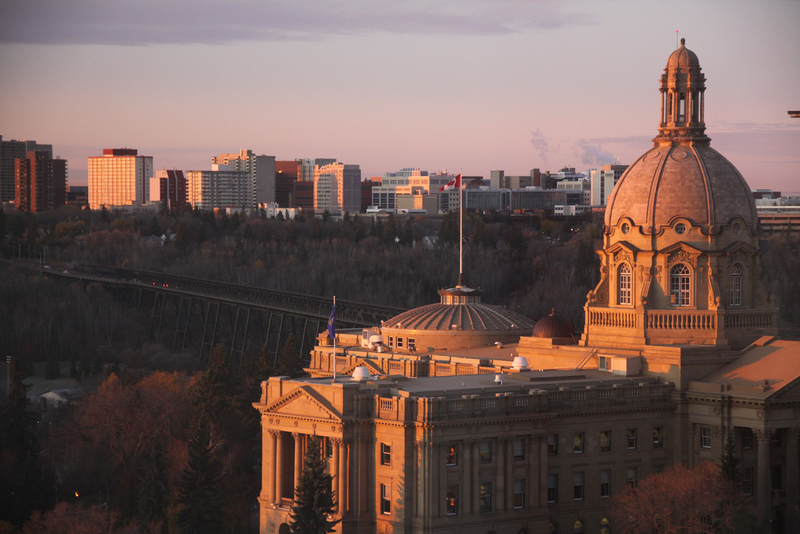 Alberta’s political twitterati were atwitter yesterday after a Progressive Conservative radio advertisement was leaked to the Calgary Herald. The ad defend the new law passed by Premier Alison Redford‘s government that will lower a driver’s legal blood alcohol level from 0.08 to 0.05 and respond to the constant, and sometimes creative, criticism of the new law by Danielle Smith and her Wildrose Party. Judging by the amount of earned media the Tories have already received about the yet-to-be-aired ad, the ad may have already paid for itself. Unlike the negative ads saturating the airwaves in the Republican Party presidential nomination race south of the border, this Tory radio ad is very, very tame. The ads point out a clear difference between the two parties on a real policy issue that both parties believe they have something to gain from. Albertans should expect high levels of sensationalism from mainstream political pundits in over the course of the next week. How many times can we expect the phrase “the gloves off” to be used in the next few days? Lots. The Tory Party’s shift in tactics is important to note. Calgary Herald columnist Don Braid points out on his blog that the ad marks an attitude change in a PC Party that would typically dismiss the opposition (and romp to another election victory). Normally invulnerable, the Tories may be worried that accusations and evidence of intimidation and bad governance may be starting to stick. The growing pile of Tory political miscalculations and mistakes are starting to pile up with an election call expected by the end of March. Some of the latest Tory missteps include Dunvegan-Central Peace MLA Hector Goudreau’s threatening letter to school board officials in his constituency, the war of words between Municipal Affairs Minister Doug Griffiths and Alberta Urban Municipalities Association President Linda Sloan, and the ensuing tweet of Premier Redford’s now-former Chief of Staff Stephen Carter. Along with Elections Alberta announcing an investigation into allegations of illegal political donations. Yesterday, the Canadian Taxpayers Federation released information showing that 21 MLAs, mostly Tories, are being paid $1000 per month for being members of a legislative committee that has not met in over three years. Lacombe-Ponoka PC MLA Ray Prins has been collecting $18,000 a year for being the chair of the committee. Maybe the Tories should be worried. This entry was posted in Alberta Politics and tagged Alison Redford, Danielle Smith, Don Braid, Doug Griffiths, Genia Leskiw, Harry Strom, Hector Goudreau, Linda Sloan, Ray Prins, Stephen Carter on March 8, 2012 by Dave Cournoyer.